The Park dresser is a formidable addition to your living space. 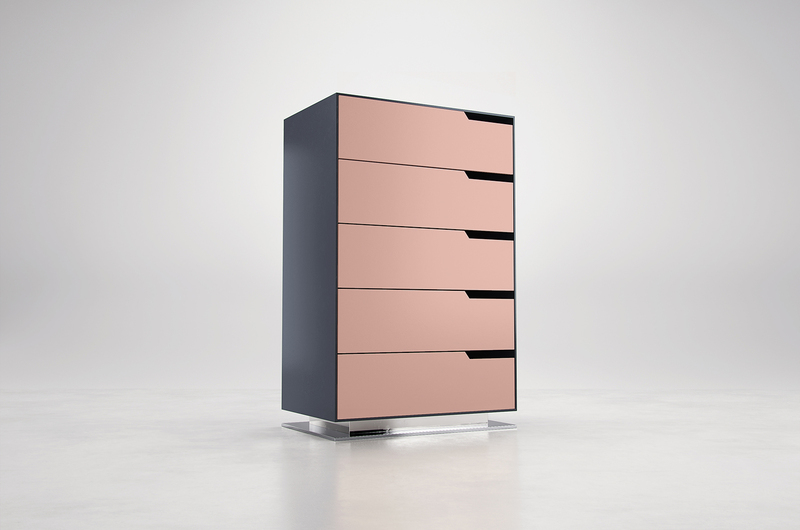 This five-drawer vertical chest is stylishly spacious, thanks to sumptuous details including linear handles, luxe linen drawer linings, and a striking steel base. 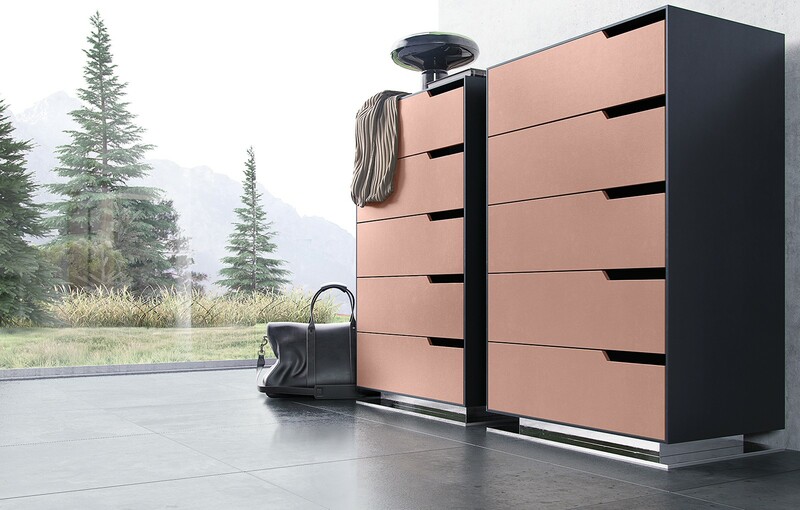 Finished in a two-tone matte lacquer finish with a durable exterior and European soft-closing drawer glides, the Park dresser offers effortless everyday accessibility. Available in Asphalt exterior with Frappe front panels, or Steeple Gray exterior with White front panels. UV coated matte lacquer finish. Ships assembled. Imported.